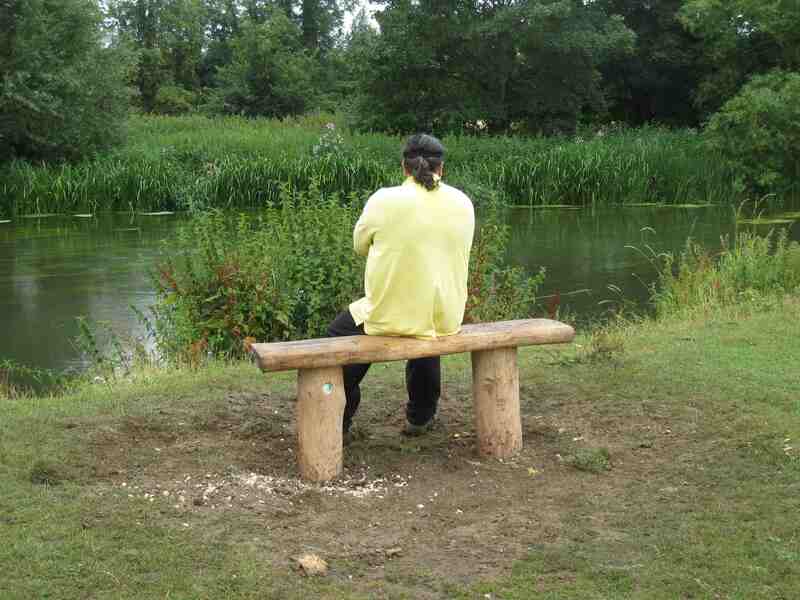 The Trust funded the Lower Mole Countryside Project to install two benches and two new signposts for the Riverside Walk, which links the Meadow all the way through Leatherhead to Norbury Park to the south through the River Mole Local Nature Reserve. 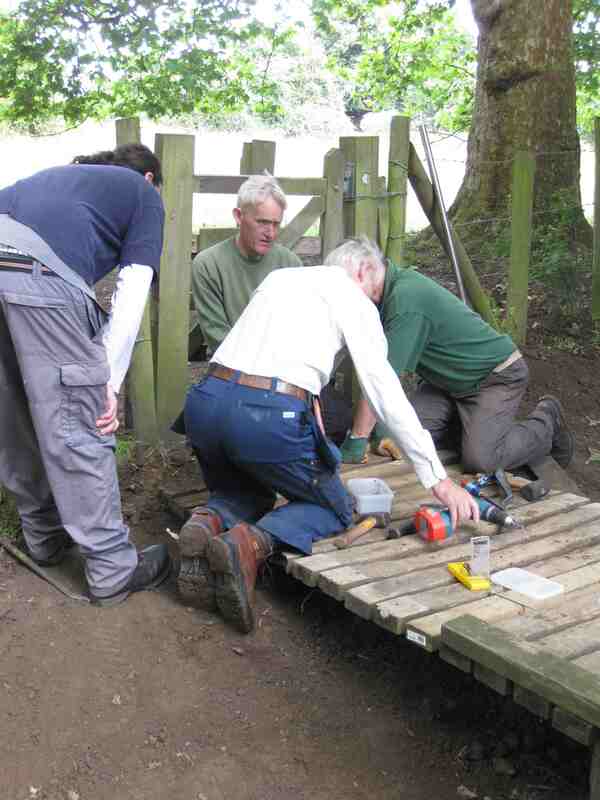 The Project volunteers also carried out some riverbank repairs for Surrey County Council Rights of Way. 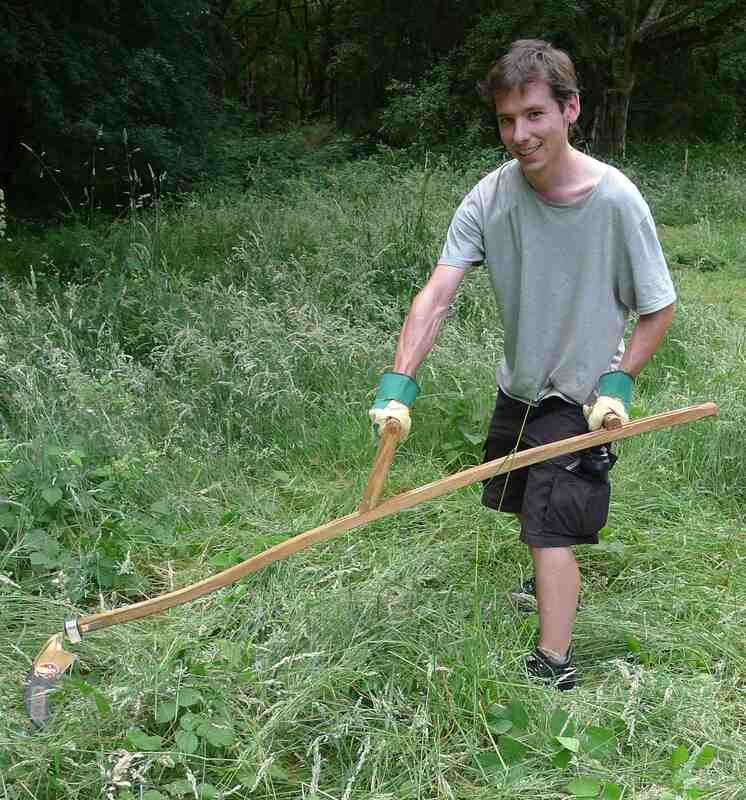 The scythes have proved popular with the volunteers and been used at several sites as they are quiet, efficient and easy to use, plus you don’t need any fuel (apart from biscuits!) so they are more environmentally friendly. 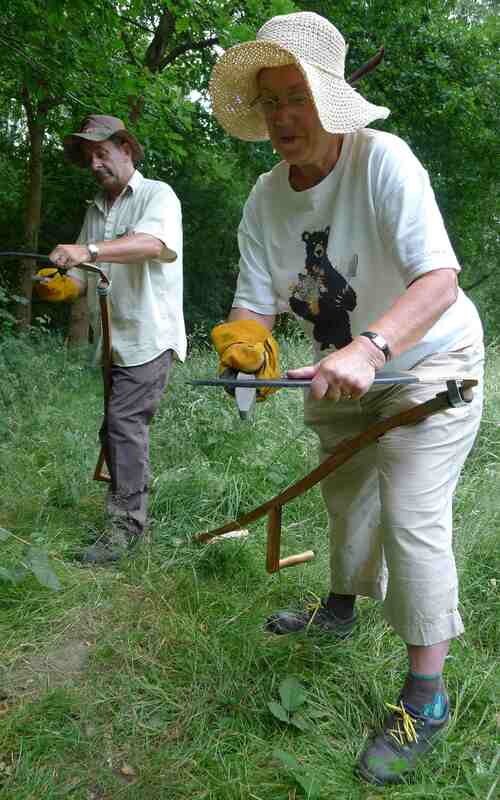 2013 marks the 30th Anniversary of the Lower Mole Countryside Management Project. 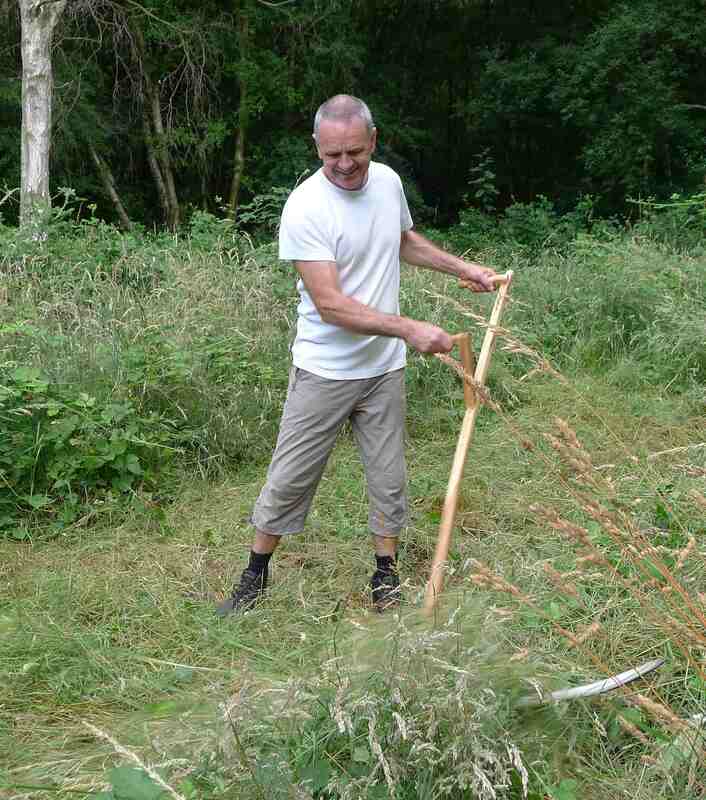 The Project works with local volunteers to carry out practical countryside improvements for the benefit of people and wildlife. 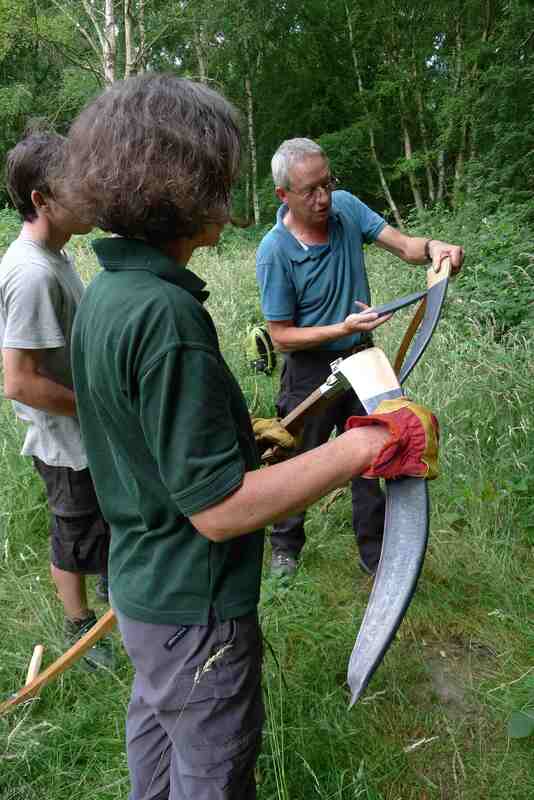 Over 270,000 volunteer hours have been achieved on a wide range of work from woodland management to pond restoration. The Project is a partnership, hosted by Surrey County Council and core funded by Surrey plus Elmbridge Borough Council, Epsom and Ewell Borough Council, Mole Valley District Council and the Royal Borough of Kingston, whose areas the Project covers. The City of London also core fund as the area includes Ashtead Common National Nature Reserve, which they own. The Project has a small team of staff who organise a volunteer task programme with activities three days during the week and some weekends. Organising the volunteer tasks involves agreeing the work with the landowner, getting relevant permissions, raising the funds, planning the task, ordering materials and machinery, risk assessing the work, publicising it and then leading the volunteers on site – and we are at a different site each week! 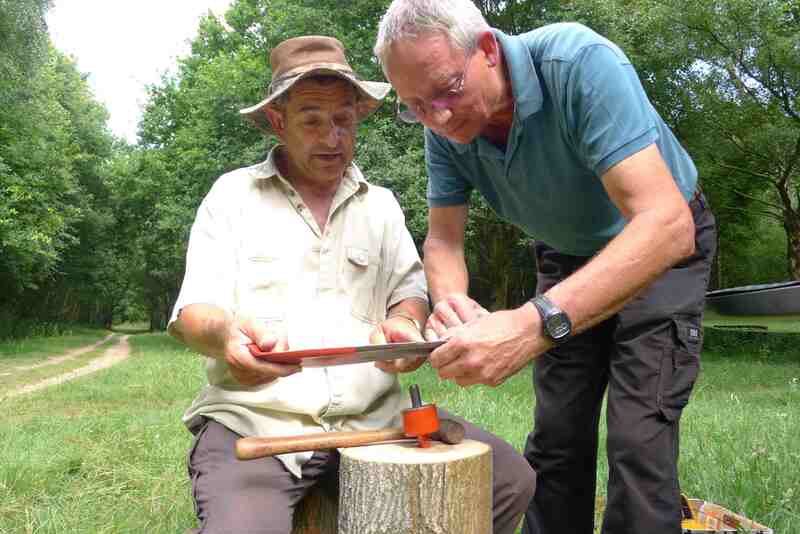 The staff also play an active role in many steering groups and committees, produce leaflets and information boards for sites and self-guided walks, write management plans and give advice on conservation projects and grants. 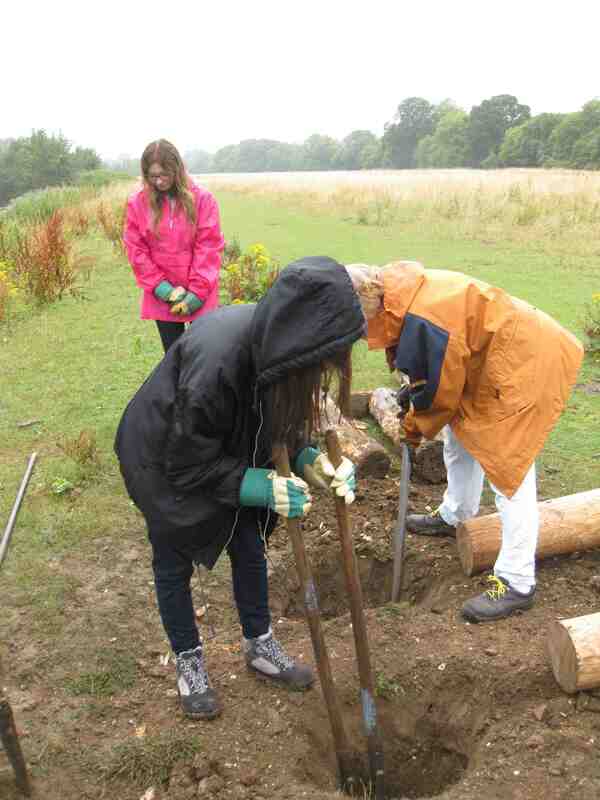 However it is the volunteers who are the lifeblood of the Project, they come along rain or shine, throughout the year to tackle everything from tree felling to carpentry. They gain the satisfaction of a job well done plus great camaraderie. 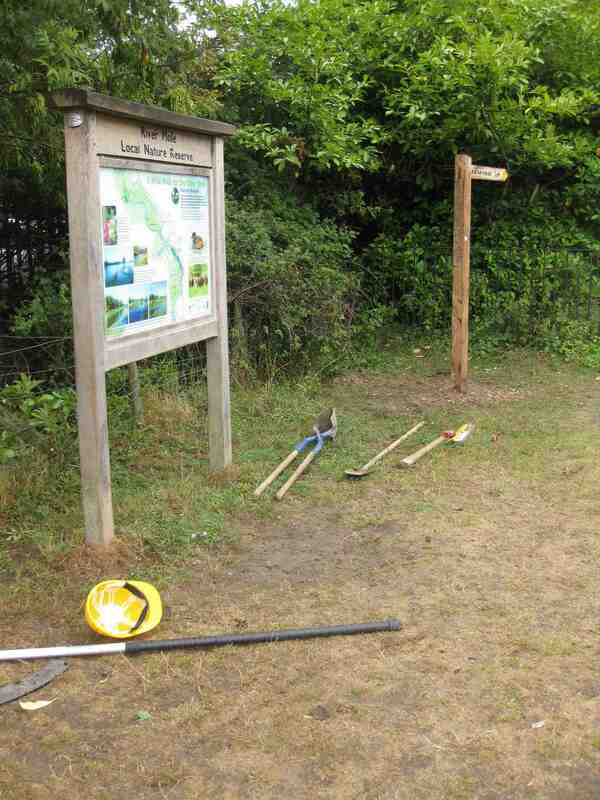 The Lower Mole Project will be celebrating its anniversary on 20th October 2013 with a return to Epsom Common, SSSI, its first worksite, when it is hoped groups and individuals from across the area will join in a day of scrub clearance with a barbecue lunch. Contact us on 01372 743783 to find out more.